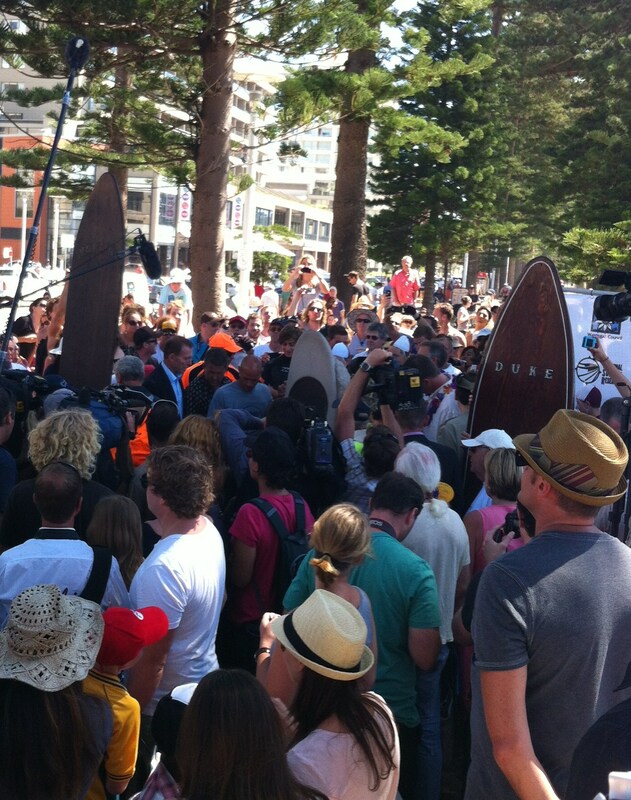 There were big crowds at Manly today to see surf legend Kelly Slater do the honours dedicating Manly-Freshwater as only the third World Surfing Reserve. It’s an odd designation in my view. The best way to describe its purpose is to quote from the website. World Surfing Reserves proactively identifies, designates and preserves outstanding waves, surf zones and their surrounding environments around the world. The program serves as a global model for preserving wave breaks and their surrounding areas by recognizing the positive environmental, cultural, economic and community benefits of surfing areas. Whilst I’m understandably biased, Manly and Freshwater are two iconic surf spots in Australia and of all the beaches in Australia – they are the most deserving. What’s unusual is that Manly and Freshwater are really quite separate and distinctive, but pragmatism would have seen them join forces to gain World Surfing Reserve designation. 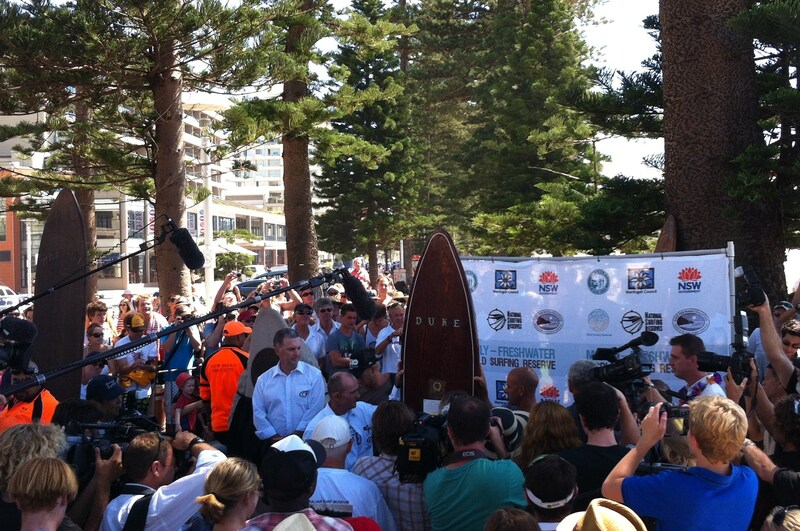 The ceremony was relatively short, however that didn’t stop 5 pollies/dignitaries rabbiting on whilst the only people the crowd wanted to hear were Kelly Slater and Brad Farmer (the bloke largely responsible for Manly-Freshwater’s designation). 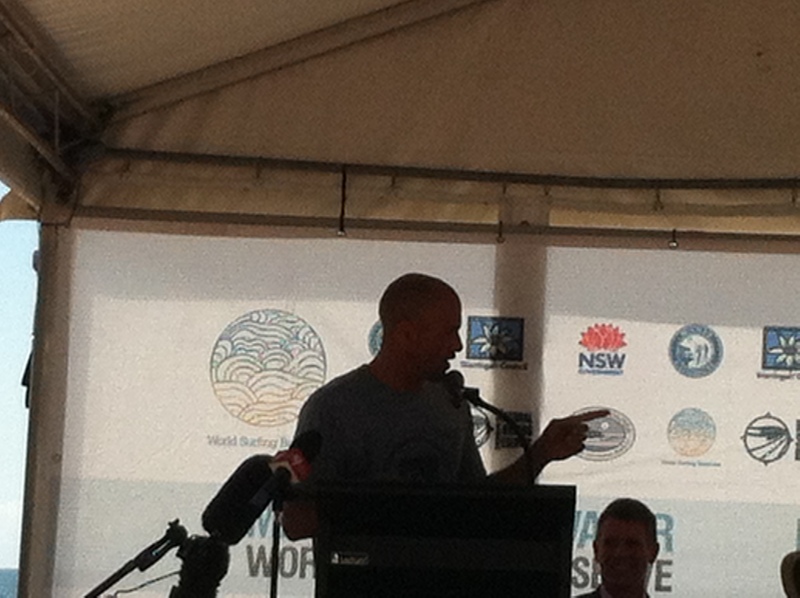 Kelly was there in his capacity as World Surfing Reserve Ambassador. The extent of Kelly’s public speaking is probably limited to the hundreds of acceptance speeches he’s had to make over the years. He came across as an extremely likeable bloke, can put on a half decent Orstrayan accent, knows and respects Duke Kahanamoku and genuinely loves the Northern Beaches. There’s always been a part of me that has wanted to dislike Kelly Slater. An American, he is the most dominant surfer ever in a sport that Australians (rightly or wrongly) think that it is our right in which to be dominant. When he passed Mark Richards’ record of 5 world titles, it was like he’d killed a bird (an Aussie is no longer the greatest). His record of 11 World Titles is Bradmanesque and he’s denied Aussies like Taj Burrow and Joel Parkinson the crown. I now find it impossible to dislike him. He’s just a really talented surfer, who also happens to be extremely humble about his achievements and clearly enjoys what he does and shares that joy with others. Officially a legend. Realising that Kelly Slater was going to do the honours, I rummaged through the bar fridge and turned up the only US beer I had. 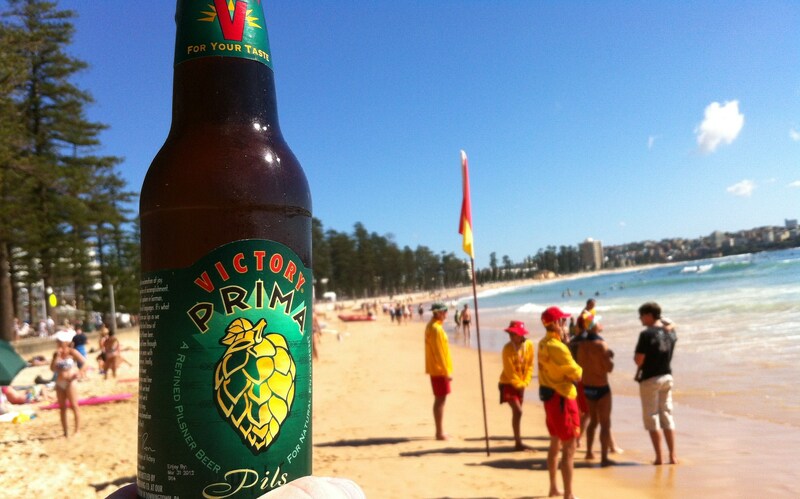 Victory Brewing Company has started to appear in a small number of bottleos in Sydney and Melbourne. Judging by the number of check-ins on @Untappd for Prima Pils , they are hugely popular in the US. I tried their Hop Devil at the soon to be relocated Biero Bar – and immediately snaffled this stubby, when I saw it a Porters at Balgowlah. Pilsners are regarded as the poor cousin of IPAs, I reckon, because they tend to be more subtle, but there is nothing subtle about Prima Pils. Bright, hoppy, resiny, sharp – it is an outstanding beer. Great label and a great drop. 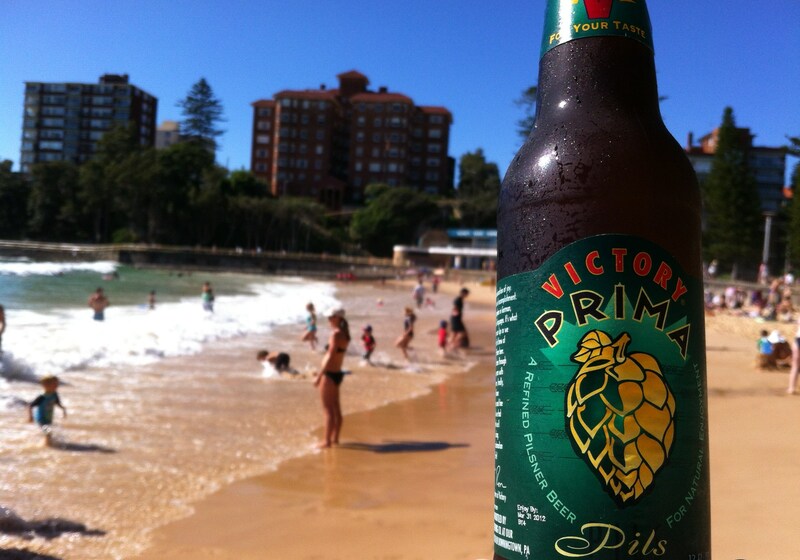 Victory Brewing Co have been going since 1996 – practice makes perfect.